Global Agents for Change is a social change catalyst that focuses to develop creative ways for young people to explore issues and take action, while generating significant support for social inequality issues. The Global AFC Opportunity Fund acts as an accelerator for established initiatives, removing barriers to help global community building projects broaden reach and achieve sustainability. Their social change cycling tours have raised over $200,000 and engaged thousands of people, and has truly shown the power of collaborative forces while working towards a common good. This ride is a new addition to the several bicycle tours that take place around the world and we could not be more thrilled to be partnered with them. Along with helping with much of the logistic work for the ride preparation and planning, partnering with Global Agents has given us a platform for fundraising. We are truly excited to have their help and support throughout the various stages of this ride. In 1989, the Unitarian Service of Canada created a program called Seeds of Survival (SoS) that works to promote long-term food security for marginal faming communities in developing countries. This approach stresses the importance of using time-tested farmer knowledge and practices, limiting the need for external farming methods that are often incompatible with local growing conditions. Since its creation, the program has been incredibly successful in restoring health in the communities around the globe. 1999, SoS was recognized with an award from the Canadian Council for International Cooperation (CCIC) for innovative programming in the area of food security. To address food sovereignty issues on with a global perspective, we have decided to work in conjunction with USC’s SoS program to rebuild a farming community in Bolivia’s northern province. Our fundraising efforts will go to the direct support a site-specific project in the region, providing long-lasting benefits for the famers and greater community. World Wide Opportunities on Organic Farms and is an international organization that has national subsets across the world. WWOOF was created in 1971 in England as a way to provide urban dwellers to access to farmers in the country side to support the organic movement. WWOOF connects farmers to volunteers who in return for usually 6 hours of work a day, get free accommodation, fresh organic food, and infinitely valuable knowledge. WWOOF aims to increase the connectivity between people and their food and to promote a sustainable lifestyle on a “learn by doing” approach. To address food sovereignty issues on a local level, we have decided to partner with WWOOF USA. On this ride we will promote WWOOF USA by raising awareness and familiarization for both hosts and volunteers. By increasing the long-term connectivity of communities between urban and country interfaces by way of personal connections between hosts and volunteers, we hope to increase food sovereignty with a more local context. Wheel & Sprocket is a family owned bicycle chain based out of Milwaukee, Wisconsin that exemplifies the power of local business to create a positive influence on the health its local communities. With its continual dedication to bicycle advocacy and service at customer and community levels, Wheel & Sprocket has obtained recognition as one of the top bicycle retailers in the nation. Recently, Wheel & Sprocket has launched the production of a line of bamboo bicycles named, Organic Bikes, that aim to re-think the way that bicycles and cycling products are manufactured, used and recycled. 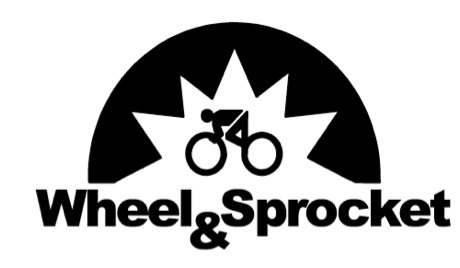 Wheel & Sprocket is owned and operated by Amelia’s father Chris Kegel, who has generously donated the costs and expenses of a support vehicle to accompany us along the ride.